High density lather. High level of protection and performance. Scent very good. Personally I really like this shave cream – nice thick lather, delicate scent, does a great job. More costly than Prorasso, which has equally good lather, but makes a nice change and has a better aroma. My first time using this product. I have used Trufitt & Hill, Trumpers, L’Occitaine, Floris, Proraso, Origins and other ‘high end’ products. My skin is quite dry and my beard growth is fairly tough. The Musgo Real has a very light fragrance. If the other versions of the prodcut are similar in scent levels then I’d say no-one should be concerned about picking a fragrance they dislike. The cream is quite thick and laters well on the fingers. It seems to take a little more water than average to get it lathering well. I use damp hands and then add a few drops extra water from my fingertips. On application to the face, the cream produces a rich thick lather without much need for extra rubbing when on the face. The cushion is almost too much – this is one reason why you don’t want to use too much cream (I probably use about three quarters of an inch). The cream produces a smooth shave. It is moisturising. I don’t seem to have any problem with the lanolin (I believe some people are allergic). My reason for giving it 4 and not 5 stars is that it is not, in my opinion, any better than Proraso but it more expensive. 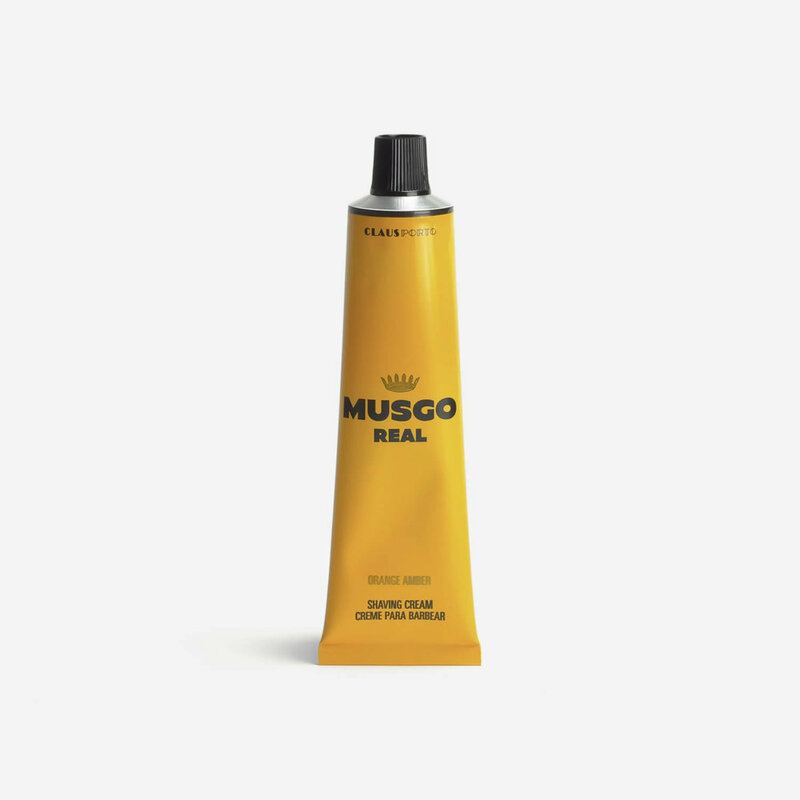 Overall, Musgo Real is a very good quality product and a nice choice to have alongside one or two others.